Have you been thinking about automation for some time? You've started picturing the benefits cobots could bring to your company? But there's just one problem. 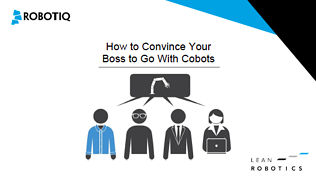 How do you convince your boss that using cobots is the right way to go? This eBook will help you get your boss on board with your ideas.